Rather than black or opaque ink, a highlighter has a felt tip that is filled with transparent fluorescent ink and was created in 1963 by Carters Ink Company which was later acquired by Dennison Corporation. Constant underlining and circling of words would come to a halt as this stationary giant made its way onto the scene. It is rare that personalised highlighters do not come in bright and vibrant colours that stand out much like the colour of ink that they contain. While yellow is the most common variation, you will also find orange, pink, blue and green as well as even more. Having multiple personalised highlighters could be a huge plus for someone who is meticulous with their organisation as they can colour code the important sentences that they are highlighting. Another way in which people benefit from multiple colours of the highlighter is with a model in which there is already more than one colour at their disposal. Creative shapes of personalised highlighters have started to appear, such as triangles, squares, stars and even hand shapes. While the standard stick model is still the staple of what we would consider the classic highlighter, new trends have shown the arrival of exciting and original designs. A technique known as tampography or pad printing is used for printing your designs onto the personalised highlighters, as the silicone pad that is used has great versatility to print on different shaped objects with equal success. 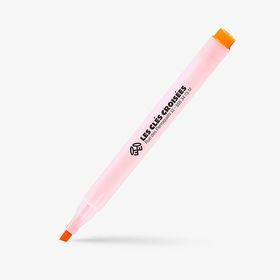 If you want to consider grouping your personalised highlighter with other writing instruments, we suggest you take a look at our personalised pens and personalised pencils which can be personalised with our online tool, each one as easily as the last.